Token trays may have differing numbers of dividers and tabs compared to the images shown depending on which game insert that they are from, however they all behave the same. The end pieces of the tray and the internal dividers are all the same (i.e. you do not need to identify specific end pieces). Line up the pieces of the tray, with the base in the middle, and the side pieces top and bottom. 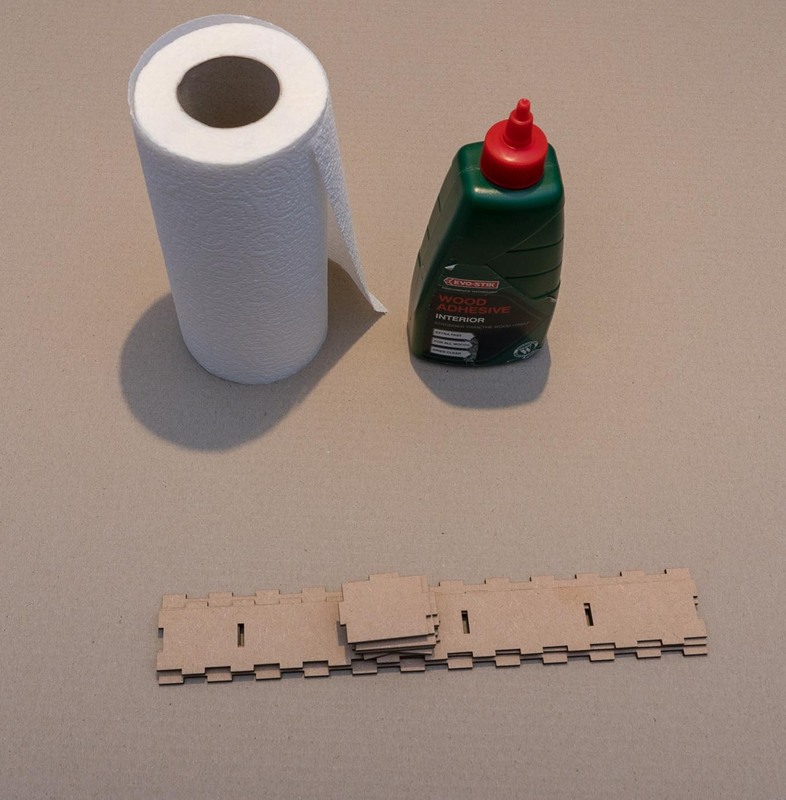 If the holes do not line up try rotating the pieces. 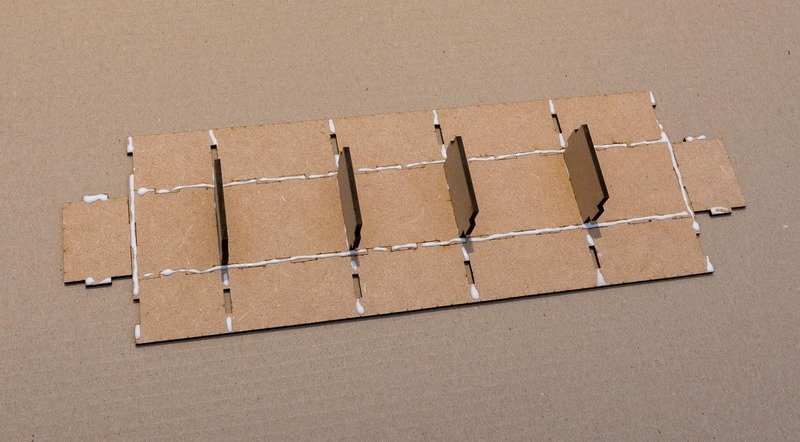 Apply a thin line of glue in the locations shown on the pieces. 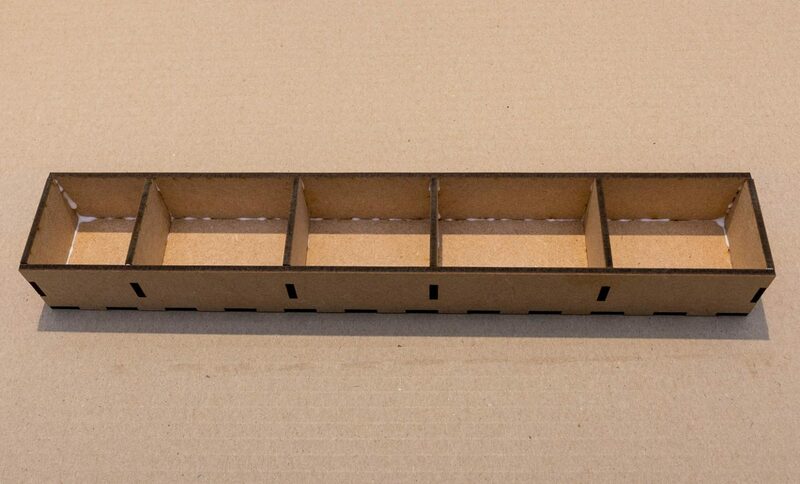 Insert the dividers into the base of the tray. 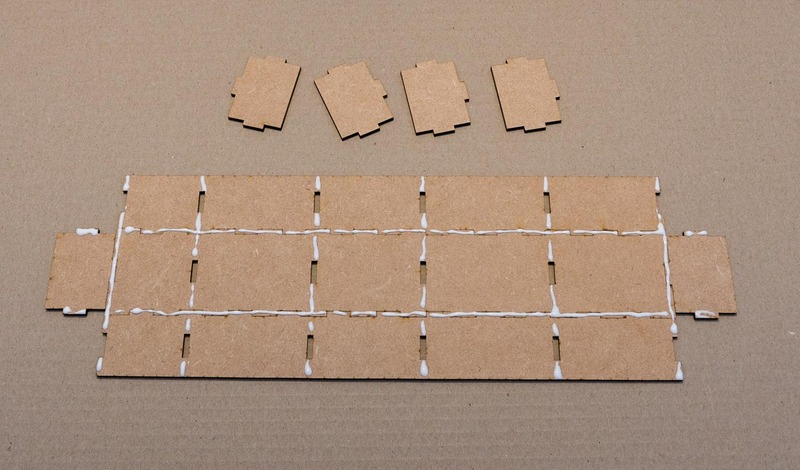 Fold one of the side pieces up, working from one end to slot the dividers into their holes. Repeat for the other side piece. 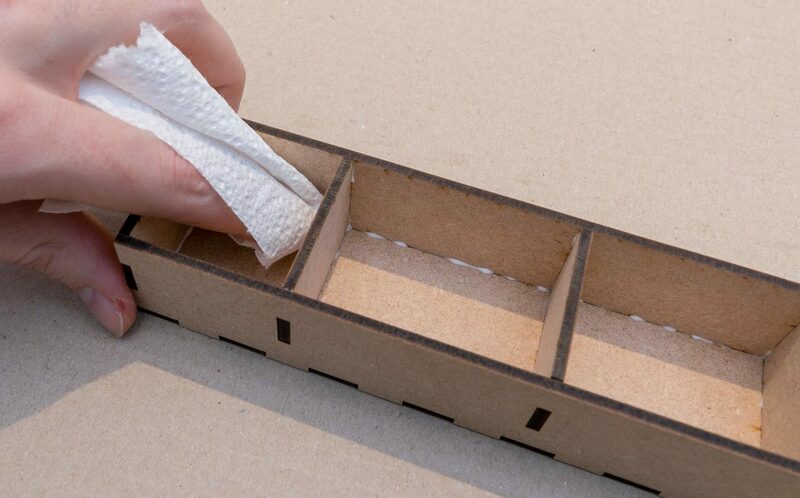 Work around all of the joints of the box, squeezing them tight, whilst wiping up excess glue that is squeezed out.